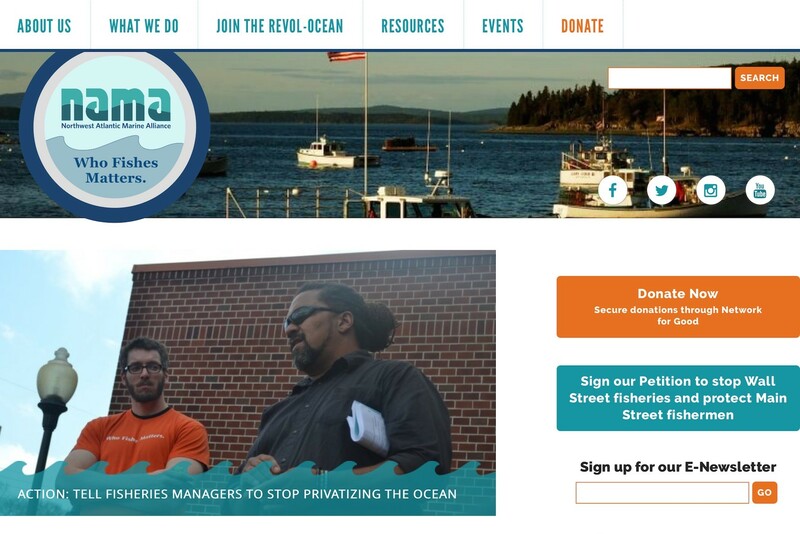 NAMA is a fishermen-led organization working at the intersection of marine conservation and social, economic, and environmental justice. It’s a fantastic cause and wonderful organization that does a lot of great work to help the fishing communities of the Eastern Seaboard. 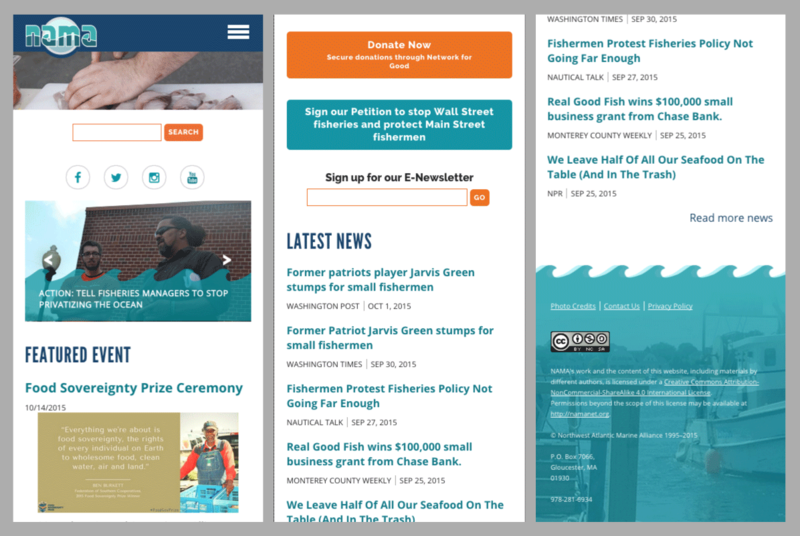 During our design research, we were inspired by imagery from the fishing industry: boats, netting, waves, fish – and the classic organizing image of a school of small fish going after a big fish. 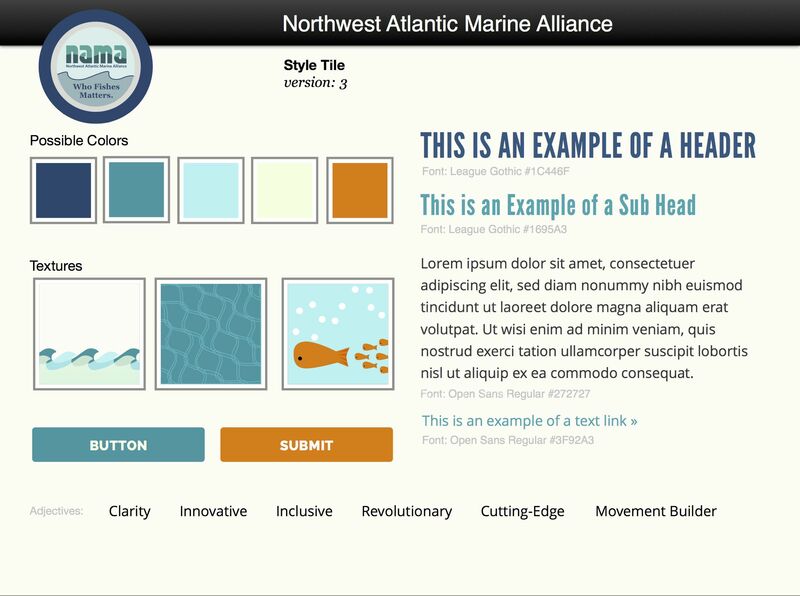 Not all of these graphics made it into the final design, but it allowed us to apply a visual language to the example components and messaging for the NAMA website, with font treatment, colors and a general look/feel in place. From there, we designed in the browser, making educated design choices as we themed the site.